“Companies can go bust. Then the entire share trading system, which is based on historical analyses, becomes totally senseless. On the way to insolvency there is much chaos in a company. Perhaps there are some statistically relevant signs for causes of these failures? Football Betting a Better Bet? This comment made me really think as I have not viewed football betting from this perspective before. I write a lot about value betting and statistical analysis of football matches, explaining that it is not only possible to analyse football game results but also to identify statistical trends and make profitable value betting decisions. The main thread of this blog is about how to develop relative reliable prognoses and calculate probabilities to gain a mathematical advantage or ‘edge’ and thereby win money from betting on a long-term basis. The thought that football betting may be better insulated from bankruptcy than trading in stock market shares had never occurred to me. Thank you, Ginger Tom! Everyone who has had anything to do with share trading since stocks have been traded (and probably everyone else in touch with the news) has certainly seen common headlines such as the following more than once during their lifetimes. Eurozone crisis live: Another Friday the 13th horror story? …the above headlines are just a few from last week! When I read things like this, I am genuinely glad that my funds are tied-up in the much more straight-forward topic of football betting and that I do not burn my fingers in the share markets. Now, some people may argue that sports betting of any type is just a ‘zero-sum’ game; someone has to lose in order for someone to win. However, my argument with businesses is that unless shares are issued to finance or float an enterprise (capitalisation), (nearly) every other financial form of trading, especially shares, is also a ‘zero-sum’ game. Indeed, this ‘paper trading’ has little effect on the day-to-day running of the company and, is itself, no more than pure speculation (i.e. betting). Furthermore, in the stock market the information available to the public is limited to news which the companies decide to communicate or are legally obliged to reveal. 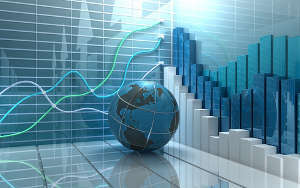 Companies traded on stock exchanges are usually large enterprises, perhaps internationally active, with a multitude of internal issues, none of which the shareholders know about or have any influence over. Indeed, when bad news is learned, it is usually too late to act.